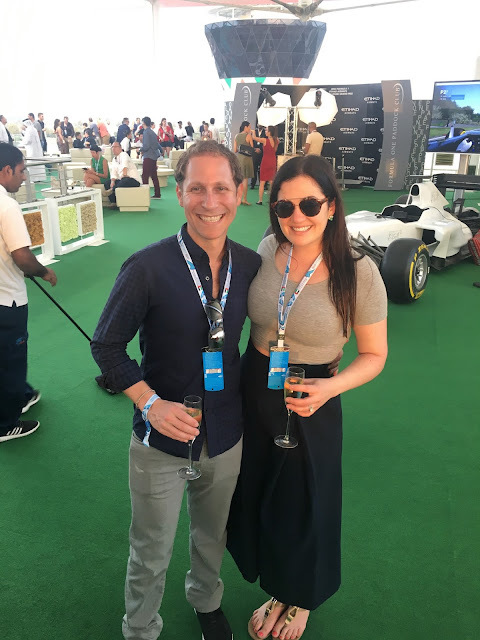 We returned from Dubai last weekend after an awesome week at Al Maha, the Park Hyatt Dubai, and a night in Abu Dhabi. 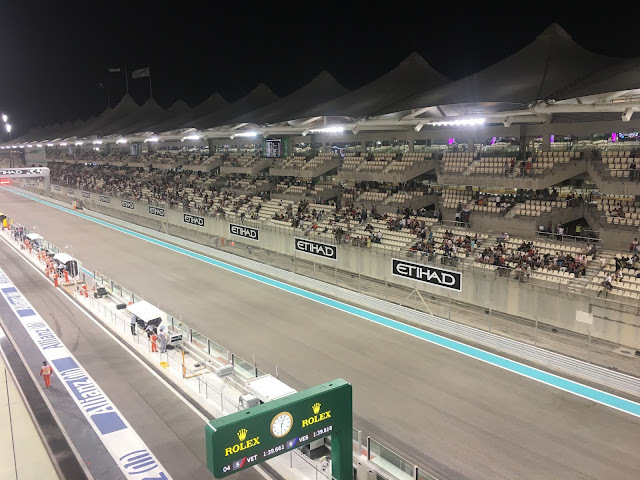 We were fortunate enough (thanks to an ATRP reader) to attend the Etihad Airways Abu Dhabi Grand Prix on Saturday for qualifying. 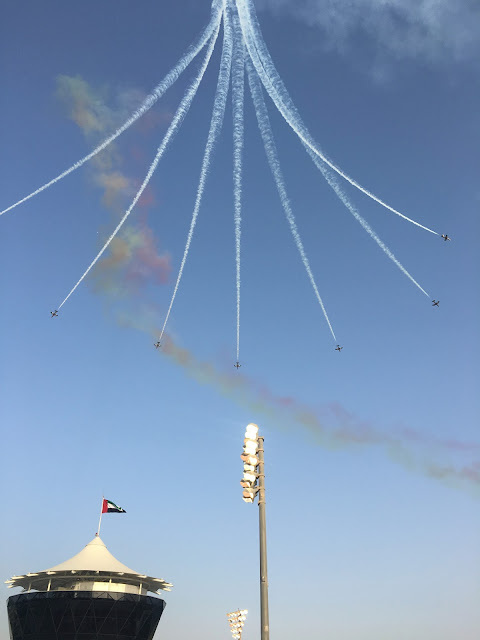 Before the race, Al Fursan (UAE Blue Angels equivalent) put on a spectacular performance. Before the actual race on Sunday, they stepped it up even further performing with an Etihad A380. Check out the video. Unreal. Love the soundtrack as well. Stay tuned for our flight last week on Etihad from Abu Dhabi to LAX. We had a near perfect flight despite the length (5th longest in the world). After a quick visit to the pre-clearance lounge, it was soon time for boarding. At this point, it was 3AM local time and 11PM London time and we were both ready to relax onboard, have a great meal, and then get some much needed sleep. We both woke up a bit as we made our way down the jetway to the upper deck of the A380. This wasn't our first time flying Etihad's First Class Apartment and it certainly won't be our last. We arrived at our seats (3K/4K) with me taking the rear facing 3K and Emily in forward facing 4K. This would allow us to eat together (in my apartment) and sleep together as the divider is lowered and the two beds essentially become one. Let me get this out of the way before I start the review. 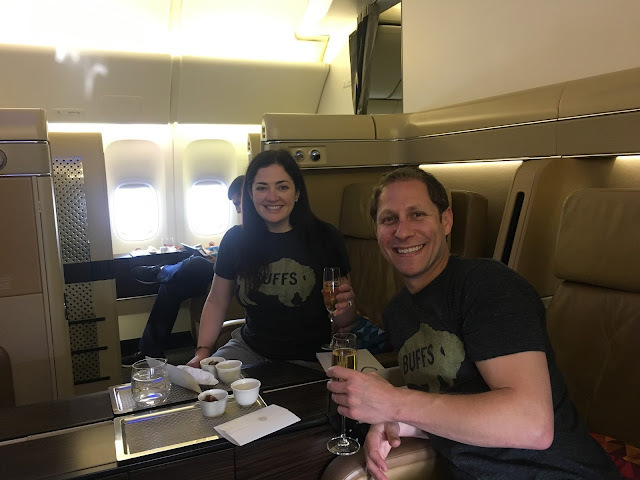 We've had the pleasure of flying international first class on some of the best carriers in the world. We've flown north of 20 segments in long haul international first class over the past few years. 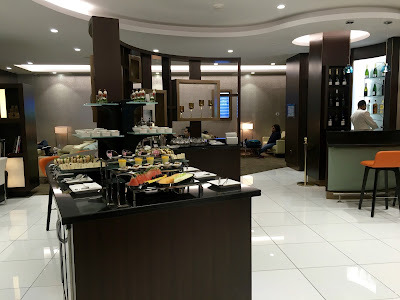 We've had some amazing flights on Singapore, Cathay Pacific, Lufthansa, and Emirates. 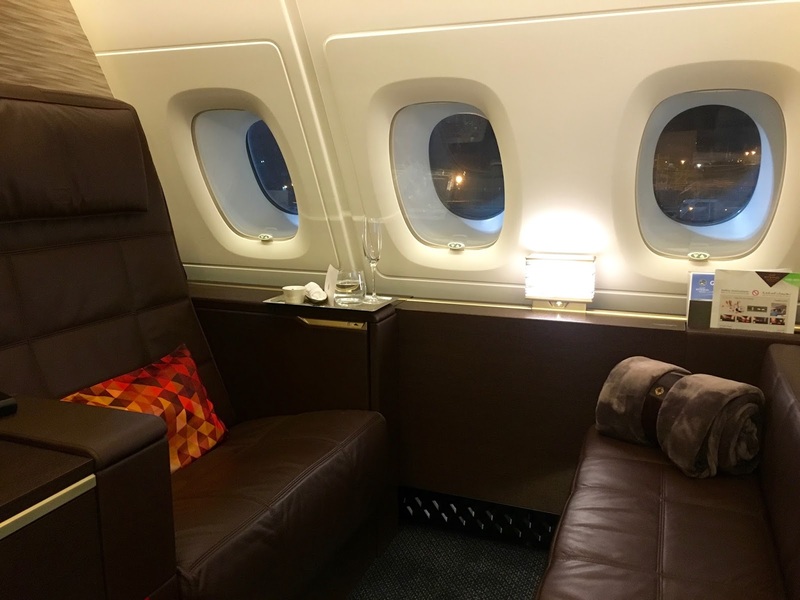 But honestly, all of those flights pale in comparison to what Etihad offers in their First Class Apartment. The biggest commodity on a commercial aircraft is space. And with this product, Etihad delivers - plane and simple. 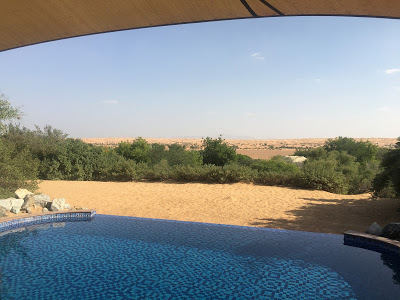 We received a text that our Etihad Chauffer had arrived and made our way outside the Andaz where we found our driver waiting. 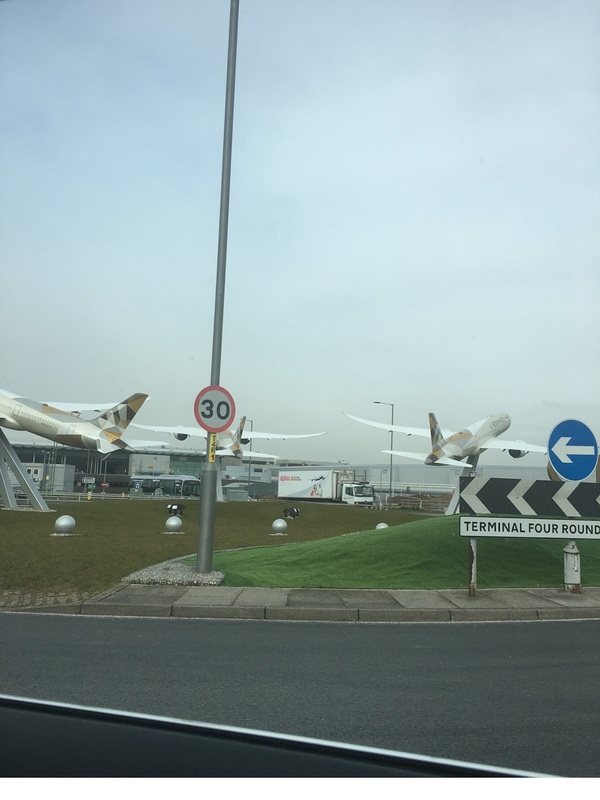 I'll have a full review next week around the Etihad Chauffeur service including how we communicated with dispatch and drivers while traveling internationally. The drive to Heathrow took almost 80 minutes in morning rush hour. 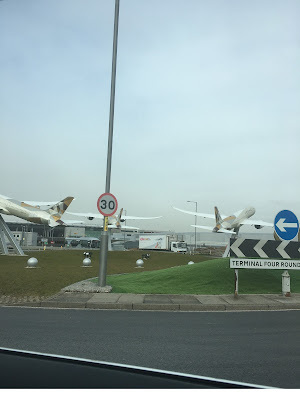 We pulled up to terminal 4 which hosts a hodge-podge of airlines. 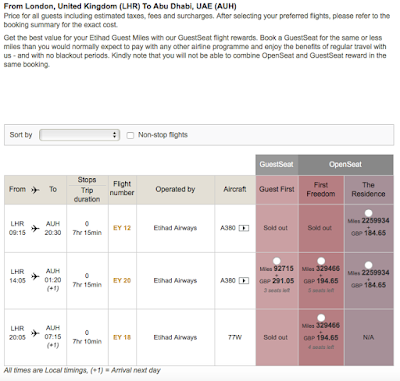 Another Etihad First Class Apartment Seat Booked! 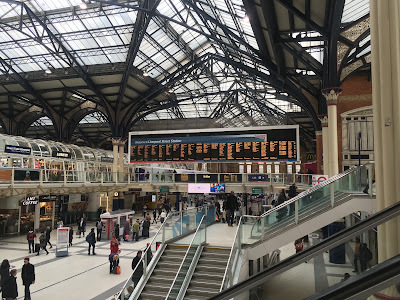 Just returned from an awesome day in London. 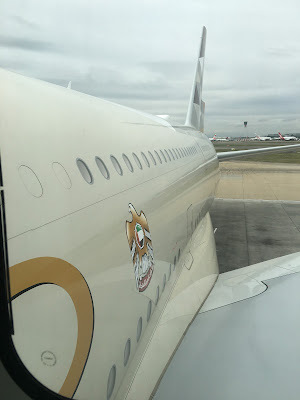 I opened my laptop, fired up Etihad Guest, and quickly searched (as I've done daily for the past week) for another open seat on our flight to Abu Dhabi. To my surprise, not 1 but 3 seats were open for booking (first column under "GuestSeat"). 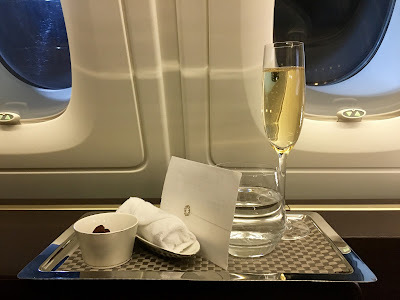 Since Etihad premium awards are somewhat challenging to book via the US call center, I Skyped American's Australian line and within 25 minutes, had my (golden) ticket rebooked in Etihad's First Class Apartments. I did have to pay the $75 close in booking fee but the taxes were actually $12 less than when originally booked...thanks to the strong dollar over the past 2 months. 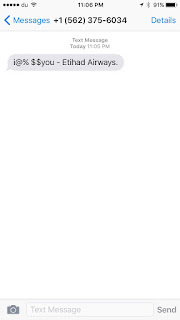 So stoked. Follow along on the blog and Instagram for updates over the next week! Guests holding tickets with confirmed reservations in Business Saver, Business Freedom and First Freedom. Etihad Chauffeur is available to Etihad Guest members redeeming their miles on First and Business class. 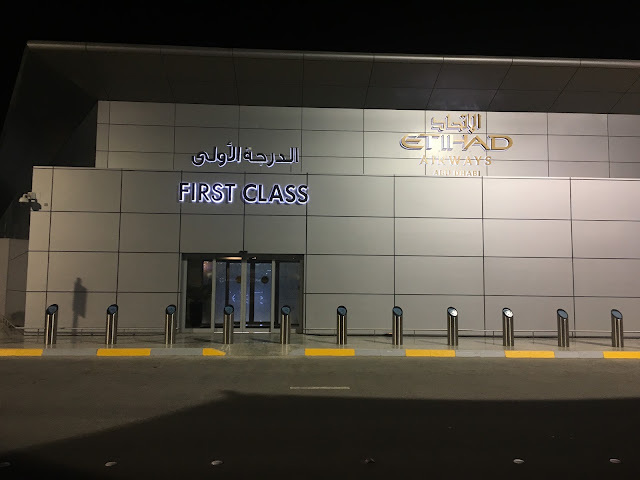 Guests travelling on Etihad Airways operated flights (although holding other airline tickets), are eligible for the Etihad Chauffeur service. 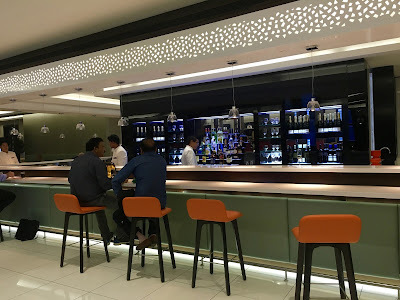 Etihad First Class Apartment Booked! After starting our premium flying careers with amazing Asian carriers, we're just now dabbling with the ME3 (Emirates, Etihad, Qatar). At the moment, the pinnacle of ME3 premium cabin flying is Etihad's A380 First Class Apartment. 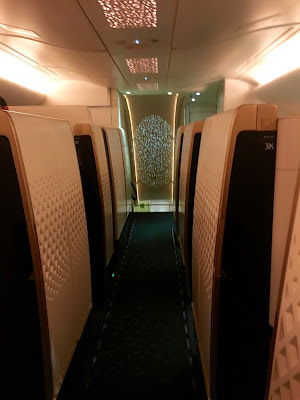 The Residence (literally 3 room accommodations on Etihad's A380) 's pretty sweet but unless you're about to shell at $32K for a one-way flight, it's likely unattainable. Good news is the First Class Apartment is totally attainable with American Airlines miles. The catch (at least on the flagship JFK - AUH route) is that award space is now only being release at the very last minute. Emily and I have been talking (this week) about a trip in early March for my birthday. Our timing was pretty impeccable as the flood gates opened on Wednesday. 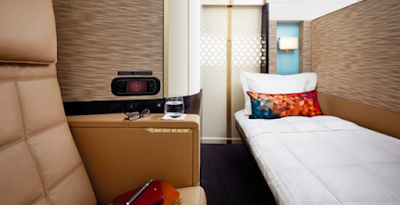 Etihad was releasing up to 3 First Class Apartments available for the Abu Dhabi to New York segment. Major thanks to Gary and Lucky for posting early on this. 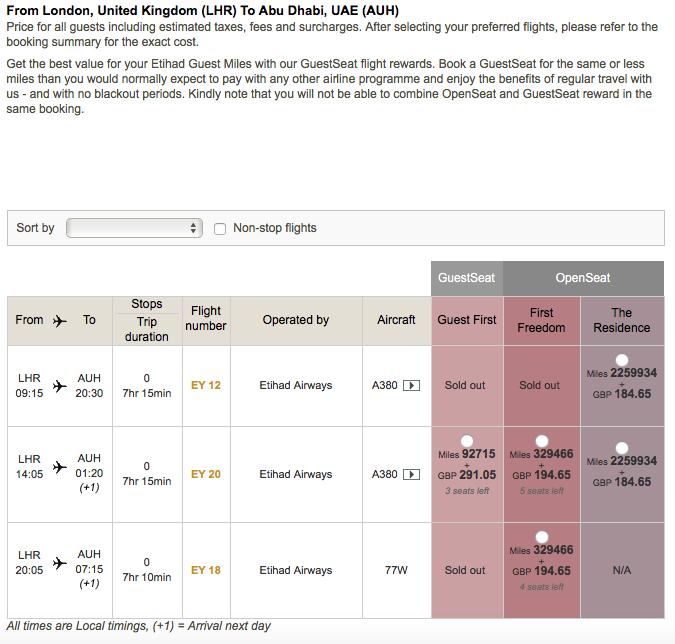 Another catch - AA agents in the US sometimes have trouble seeing award availability. For whatever reason, that's not the case for Australian call center agents. I found seats on a day that worked for our schedule and Skyped the Australian AA call center centre. 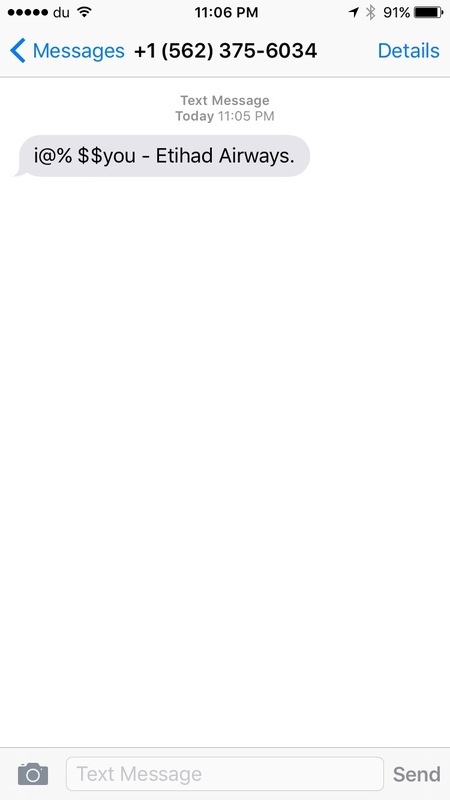 After waiting on hold for an agonizing 35 minutes, my call was answered by an extremely friendly agent. He was able to see the space and had us booked in under 5 minutes. This morning, the award ticketed! Total cost was 90,000 AA miles and $38 USD each. We are both beyond excited. 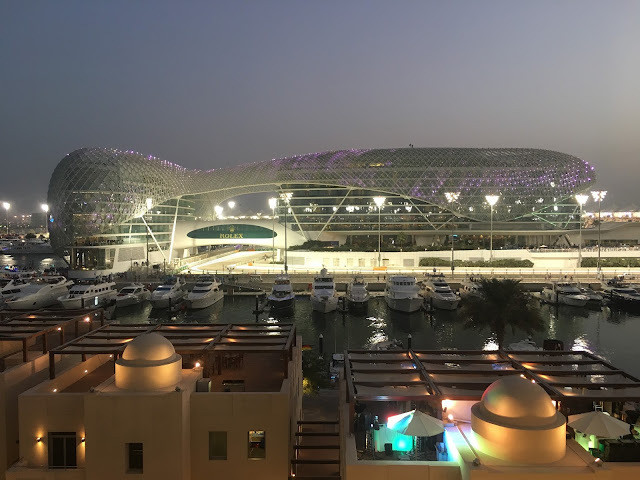 We do want to spend a day in Abu Dhabi but not much more than that. So we'll be looking to spend time in Europe before making our way to Abu Dhabi for the flight home. 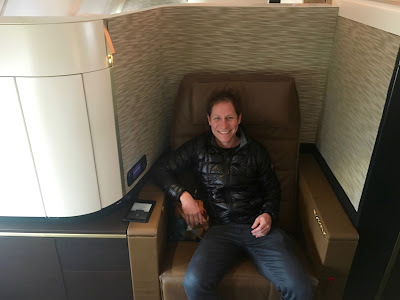 I didn't think I'd be able to top my Emirates experience but I have a feeling this is going to be even better. They say timing in life is everything and that was certainly the case here. I've been fortunate to catch a few of these (Singapore in 2012 and Asiana in 2014) where impossible award availability become virtually unlimited in a very short period of time. The trick is taking advantage quickly - don't think, just book. You'll be happy you did.